Why does it seem like no two lists of the divine attributes are identical? The previous post showed that part of the reason for this is that God is an incomprehensible and simple being. He is simply always beyond our grasp even though he is within our reach. Yet is there any way of relating his attributes to one another that can help us know God better as he has revealed himself to us in Scripture? Antonius Thysius’ disputation on the divine attributes in the Leiden Synopsishelps us wade through these deep waters a bit by describing logical relationships between some of the divine attributes. While such logical relationships can break down quickly, they can help us develop at least a somewhat less hazy picture of what kind of God we have in view and enable us to remember his attributes better by relating them to one another. After summarizing his division of the divine attributes into incommunicable and communicable ones, this post briefly introduces some questions related to divine affections. I will conclude by using Thysius’ treatment of the divine attributes as a guide to evaluating at a glance the lists of divine attributes in the Westminster Catechisms and Confession of Faith. While there were different ways of classifying divine attributes, Thysius opted to use the categories of incommunicable and communicable properties. This meant that some terms could be ascribed to God alone while others could be used both of God and of his creatures as reflecting God and as made in his image (165). The incommunicable properties were easier to number than the communicable ones because they included a relatively stable list of what was unique to God with no analogy in his creatures. According to Thysius, simplicity (“on which unity and immutability depend”), infinitude, eternality, and immensity are God’s four incommunicable properties (165). We looked at simplicity in the preceding post. Infinity, which was the second of four incommunicable properties, included eternity and “immeasurability” (immensitas), all of which he called “infallible marks of the Deity.” God’s spiritual essence entailed his simplicity, which is why simplicity qualified the divine attributes as a whole. In this sense, God was also “one,” both in terms of numerical oneness as the only true God and simplicity with respect to not being composed of parts (167). Immutability fell into this discussion because of the implication that the simple God is unchangeably who and what he is (167). Infinitude meant that God was “altogether free from any ending or boundary” (167). Eternality, the third incommunicable quality, meant that he had no beginning, no end, and no succession of time (169). This attribute included his independence. Fourth, and lastly, “immensity is the attribute of the essence of the infinite God, whereby He surpasses all boundaries of essence” (169). Omnipresence is an implication of immensity because if the creation cannot contain God then he also fills it even as he is not bound by it. Note that there is a partial pecking order among the incommunicable properties: simplicity/spirituality is the broadest general description of God; infinitude then encompasses and requires eternity and immensity. These attributes, in turn, imply others, such as independence, omnipresence, etc. While all divine attributes show how God is unique, this set of four attributes was viewed as having no parallels in creation. Narrowing the list of communicable attributes and relating its terms to each other proved to be a bit more challenging. This is where lists of divine attributes admitted the most diversity among theologians. Communicable attributes are predicated both of God and of creatures by way of analogy (169). We should understand that this meant that we are analogous to God rather than God being analogous to us (181). In other words, we should understand ourselves in relation to God rather than God in relation to us. Reversing this order is one of the primary causes of idolatry, since the pagans remake God in their own images, supposing that God is altogether like them. Thysius sought to organize communicable attributes in a general way. He argued that life, wisdom, will, and power are foremost (169). He noted that even though these are “communicable” attributes, there remains an incommunicable element in them (171). For example, God alone is alive ultimately because he is the source of all life. From life, Thysius branched down into intellect and will, noting that, “This life of God exists in intellect and will” (171). Deducing further from intellect, he added that God’s knowledge, which with wisdom belongs to his intellect, terminates on himself ultimately (173). After distinguishing in passing between God’s efficient and commanding will, Thysius added that the divine will is free and immutable (175). All of these things are immanent in God and they grow out of his incommunicable qualities. As another example, divine power emanates from his potency (175). His potency is absolute in the sense that, “He also could not be capable of more, or less, but He can do all things which He can to do, and He performs his power upon whatever He wills to be, and that without labor or effort” (175). God’s dominion is related closely to this idea. Though this description of logical connections between the divine attributes is not as tight as his treatment of incommunicable attributes, it illustrates that such lists still reflected some attempt at logical arrangement. God’s good affections (which in human beings are the passions), and the virtues of his intellect and will (which in mortals are the ethical and moral qualities which designate regulation of the affections), are: truth, love, goodness, gentleness, charity, generosity, mercy, and long-suffering, anger, hatred, justice, and also holiness, etc., and are truly and properly said of God (of course with the removal of every imperfection from them); and they are nothing other than God’s ardent will towards us, and its power and effect in creatures (177). Two things are noteworthy here. First, this entire list of communicable attributes flows, in some sense, from divine will and from divine power. Life leads logically to intellect (including wisdom and knowledge), which then leads to will and to power, which finally encompasses all other communicable properties (see his examples on pp. 179-183). Second, “passions” in human beings correspond to “good affections in God.” This simultaneously shows a qualitative difference between divine and human “emotions’ and a relationship between them. God does not have passions because he is not moved from anything outside of himself like human beings are. Yet human passions reflect something true about God’s affections. Turretin went so far as to say that human beings would be without passions in heaven, though they certainly would not be without affections. This material not only illustrates how a Reformed author related divine attributes to one another. It should caution people in modern debates over whether or not God is “without passions” against treating terms like “passion,” “affection,” and “emotion” as purely synonymous. God is a Spirit, in and of himself infinite in being, glory, blessedness, and perfection; all-sufficient, eternal, unchangeable, incomprehensible, every where present, almighty, knowing all things, most wise, most holy, most just, most merciful and gracious, long-suffering, and abundant in goodness and truth. Spirituality/simplicity leads to self-existence (aseity) and infinitude, which brings glory, blessedness, and perfection with it. All-sufficient and unchangeable are relative and absolute attributes, respectively, while the both are incommunicable. They are likely implications of eternality, which would include self-existence in Thysius’ treatment, though that attribute is mentioned separately here. The incommunicable and absolute qualities clearly end with incomprehensible, with a list of communicable attributes rounding out the list. The Leiden Synopsis helps us better understand the logical relationships between the divine attributes, but it does not solve all of our problems. The Westminster Standards sort of look like an outworking of Thysius’ logical relationships and they sort of do not. Other lists would look sort of similar and sort of different from both of them. This reminds us that every divine attribute implies and informs all of the others, and that beginning with any one of them leads us to marvel at the others. This is what divine simplicity and incomprehensibility mean in practice. We need to learn to make logical connections between God’s attributes. This will help us gain a better and full-orbed view of who God is and well as of what he does, which reflects who he is. Yet studying the divine attributes will always be, and should always be, a humbling affair. It is ultimately only in Christ that we see every facet of the incomprehensible God shine forth gloriously, making him apprehendable to us by faith. Read the author's previous article here. Ryan McGraw (@RyanMMcGraw1) is associate professor of Systematic Theology at Greenville Presbyterian Theological Seminary in Greenville, South Carolina. The exposition on the sacraments draws to a close as the redeeming work of Christ on the cross and its meaning in the sign of the Lord’s Supper are joined, further underlining our argument that the articles must be read as a whole. Articles 11-18 underline articles 25-31. In order to see how the original Article 31 written by Cranmer in 1553 becomes more precise one needs to consult the original Latin. One edit strengthens the description of the Roman Supper from figmenta to blasphema, “blasphemous” rather than “fictitious” fables. The 1553 “pacifying of God’s displeasure” and “sin” read later in the article become in 1563-71, propitiation and guilt(the Latin propititatio and culpae). Such precision suggests that the importance of this doctrine rose in significance among Anglicans in the intervening ten years due to the 1562 Canons of the Council of Trent. As we have seen in previous articles, the Roman church held—indeed, it continues to maintain—that in the Mass, the substance of the bread and the wine changes to become the substance of the body and blood of Jesus Christ. Why would Rome insist on this running the risk of weakening the integrity of the person of Christ as fully God and man? It is because of a distorted realism that their doctrine of the Mass compels them. In other words, in the event of the Mass the real sacrifice, Christ must be re-presented to God again and again so that its benefits may be received by those present. But as Hebrews 9.26-28 remind us, the Lord Jesus fulfills the system of perpetual offerings in his unique sacrifice where he was both priest and victim. To suggest that he needs to be offered over and over again undermines the achievement of the cross. The Reformers rejected this teaching as both unbiblical, heretical, and ultimately blasphemous. Such a mechanical re-presentation distorts the person of Christ and the nature of our justification. Is it no wonder then that our Anglican forebears were prepared to die as a testimony against it? As their witness and as Article 31 makes abundantly clear, the offering of Christ was made once, and this once-for-all event alone is the ground of a sinner’s justification. The article falls into two parts. The first sets out the biblical doctrine of the atonement: The Offering of Christ once made is that perfect redemption, propitiation, and satisfaction, for all the sins of the whole world, both original and actual; and there is none other satisfaction for sin, but that alone.The nature of the atonement is repeating the wording of the Scriptures. It is the “offering of Christ once made.” The force of the “once” is the Latin semel meaning once for all, a single time and is the rendering of the Vulgate in the key texts describing Christ’s atoning work (Romans 6.10; Hebrews 9.12, 26-28; 10.10; 1 Peter 3.18). The purpose of the atonement logically follows that perfect redemption, propitiation, and satisfaction, for all the sins of the whole world, both original and actual. Our double principles that we have noted throughout our study once again make their appearance here: that the formularies must be read together as being mutually supportive and that the articles must be interpreted as a narrative whole rather than in isolation. Compare the article with the precise wording in the Prayer of Consecration in the 1662 Book of Common Prayer: “Almighty God, our heavenly Father, who of thy tender mercy didst give thine only Son Jesus Christ to suffer death upon the cross for our redemption; who made there (by His one oblation of himself once offered) a full, perfect, and sufficient sacrifice, oblation, and satisfaction, for the sins of the whole world…” Compare next the articles’ description of the extent of Christ’s expiation of sin in article 2 (“to be a sacrifice, not only for original guilt, but also for all actual sins of men”) and in articles 9 and 15 on the distinction between original sin and actual sin. The second part of the article explains the egregious errors of the doctrine of the Mass; the Priest did offer Christ for the quick and the dead, to have remission of pain or guilt. The English word “pain” here should be understood to mean “punishment” for the Latin’s poena. The penalty paid for a committed offense. The consequence of the doctrine inevitably results in ten times tens of thousands of masses, and so the article describes them in the plural, as blasphemous fable(s), and dangerous deceit(s). Blasphemous in how Christ is dishonored, and pastorally hazardous because assurance in Christ's work becomes impossible for the Christian throwing all the weight for salvation upon the backs of the believer. Last time, we looked at the proto-Puritan William Tyndale in the early stages of his life and work until he left England for Germany. In one sense, he chose this “exile”, but in another, he was forced there to finish his translation work. In this second of a five-part series, we study Tyndale’s life and work on the continent to the time of betrayal and death. Tyndale arrived in Germany (1524) with the financial support of Humphrey Monmouth, the cloth merchant who housed him in London. His initial whereabouts are uncertain, though he may have spent some time in Luther’s Wittenberg where he met up with his translation assistant, the wayward Franciscan friar, William Roy, who left London a year after Tyndale. We find Tyndale next in Cologne (1525) where he translated the Greek New Testament into English with help from Latin and German texts. He collaborated with the printer, Peter Quentell, likely driven by profit not conviction to work illegally with Tyndale. Most of Matthew was printed before officials raided Quentello based on John Dobneck’s tip. A couple of printers boasted about the translation work to him after he loosened their lips with plenty of ale and wine. By God’s providence, Tyndale and Roy caught wind of the bust, and headed up the Rhine River to Worms with their manuscripts. In Worms, they teamed up with printer Peter Schoeffer, and their pocket-sized (for easy concealment) English New Testament was finally published (1526), the first ever from Greek. It was promptly smuggled back to England in bales of cloth by the thousands. Bishop Tunstall (a “ducking hypocrite born to dissemble” says Tyndale), condemned the work and burned all the Testaments he could find and with the trumped-up claim of 2000 translation errors. Tyndale later complained that failing to dot an “i,” was “reckoned for heresy.” Later (1527), the archbishop of Canterbury, William Warham, urged buying and burning as many New Testaments as possible. One of his bishops, Richard Nix, praised this “gracious and a blessed deed,” an act God would certainly reward. On strained terms, Roy separated from Tyndale in Worms where he published his preface to Romans. His position on justification by faith alone showed some dependence on Luther’s own prologue, but not without differences. By 1528, we find Tyndale in Antwerp (Belgium) where he worked with the printer, Martin de Keyser, who published secretly under, “Hans Luft,” Luther’s famous Wittenberg printer. In 1528, Tyndale’sParable of the Wicked Mammon, from Luke 16 showed the vanity of good works apart from saving faith,then The Obedience of a Christian Man, exposed the corruption of the church, affirmed secular authority, taught justification by faith apart from but joined with good works, and asserted the supreme authority of the Bible. Henry VIII found the book’s support for secular authority over the church appealing. Both books were well-received in England yet condemned as heresy by the church. While in Worms, Tyndale likely studied Hebrew, skillfully manifested in the English Pentateuch published in Antwerp (1530). His translation philosophy was vibrant as he pursued a text both faithful to the original and clear to the reader. The same year, in The Practice of Prelates(1530), he condemned the papal hierarchy and with it the English church headed by Cardinal Thomas “Wolfsee” (said Tyndale) Wolsey. In the work, he also opposed Henry’s marriage annulment, which he did not find appealing. Tyndale’s labors were a growing threat and Wolsey commissioned (1528) Thomas More, a Catholic scholar and eventual Lord Chancellor (head of all judicial matters), to read and respond to Tyndale’s banned books. More’s scathing Dialogue Concerning Heresies(1530) severely condemned Tyndale and his work. He responded with An Answer unto Sir Thomas More's ‘Dialogue’(1531), defending the authority of the Bible and attacking the church’s distortion of biblical truth.Sir Thomasresponded with his bigger and more abusive Confutation of Tyndale's ‘Answer’(1532-33) labeling Tyndale as “a hell-hound in the kennel of the devil . . . discharging a filthy foam of blasphemies out of his brutish beastly mouth.” Tyndale chose not to respond, though More continued his attack in later writings. In 1533, Thomas Cromwell, the chief advisor to Henry, sent his representative Stephen Vaughan to find Tyndale in Antwerp and invite him back to England under safe conduct. The elusive Tyndale actually found Vaughan, and offered to go back (even to die) only if Henry sanctioned the Bible in English (by anyone!). Vaughan was quite taken with Tyndale, though nothing came of the meetings, which angered Henry and intensified the determination to arrest him. The influential Reformer yet virtual ghost “was everywhere and nowhere,” claimed the exasperated More, obsessed with seizing Tyndale. That same year, Tyndale’s colleague John Frith was burned, largely at the instigation of More, primarily for rejecting purgatory and transubstantiation. In 1534, Tyndale’s revision of his 1526 New Testament made interpretative and editorial improvements, expanded the prologue, provided comments on translation philosophy, and criticized George Joye’s own 1534 yet anonymous revision of Tyndale’s 1526 edition. Tyndale was not pleased that Joye made changes without naming himself. He continued Old Testament translation and finished the historical books from Joshua to 2 Chronicles the following year. Tyndale had been living safely in the "English House" in Antwerpwith Thomas Poyntz. Henry Phillips, of whom Poyntz was suspicious, showed up one day from England and proceeded to win Tyndale’s affection. In fact, the charmer had, among other things, gambled away a large sum of money his prominent father had entrusted to his care. Possibly, the bishop of London at the time (John Stokesly) took advantage of the troubled Phillips and employed him to find Tyndale. On May 21, 1535, the plan came to fruition with Phillips luring Tyndale from the house where imperial officers (working for Charles V) seized and imprisoned him at Vilvorde Castle (near Brussels) where he languished for 500 days. Poyntz desperately sought his release but was thwarted by the traitorous Phillips who feared the loss of life and money. Poyntz himself was arrested as a heretic before escaping back to England. From Germany, Miles Coverdale (another Tyndale colleague) had already published (without authorization) the whole Bible in English in 1535, though with great dependence on Tyndale, and with translation from Latin and German texts due to limited Greek and Hebrew. Then, within the year after Tyndale’s death, his prayer would be answered, . . . at least externally. John Rogers, the chaplain of the English House in Antwerp, had taken all of Tyndale’s work and, with the Coverdale Bible to supplement it, published probably from Antwerp Thomas “Matthew’s” (pseudonym to hide Tyndale’s contribution) Bible in 1537, with Henry’s permission. It was brought to England, became a best seller, and was revised as the Great (giant-sized, to prevent it from being stolen) Bible (1539) ordered to be in every church by Henry, now styling himself (since 1534) as the “supreme head” of the church of England. This was the first English Bible “authorized” to be read aloud during worship services. With these developments and Tyndale’s impact on them, his sacrifices were certainly worthwhile. 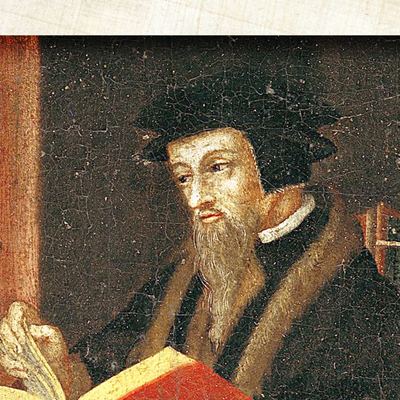 His impact on the English Reformation, Bible translation, and the English language are profound. Click here read the previous post in this series. I am currently preaching a sermon series on the Gospel of John. There are some passages in that Gospel that appear to betray the grace of the gospel by presenting a legalistic view of salvation. Since Scripture cannot contradict itself, we know that these passages don’t teach legalism. How then are we to interpret them? The temptation, especially for Reformed folks, will be to explain them away by imposing upon them a theological interpretation that doesn’t fit the context. Reading true doctrine into the wrong text, however, is not exegesis but eisegesis. In this article, I want to look at these texts and show how a common scholastic distinction used by the puritans is helpful in exegeting them. Jesus says that he and his Father will love those who love him (John 14:21, 23). He makes a similar point in the following chapter, where he says that you need to keep his commandments in order to abide in his love and to be his friend (John 15:10, 14). Still further, Jesus says that the Father loves the disciples because they have loved him (John 16:27). Take your time to read these verses carefully. Jesus is saying that his and the Father’s love is conditioned upon our love. The Father loves us because we love Jesus. Do these verses startle you? Do they perplex or trouble you? One Reformed theologian was evidently uncomfortable with the patent meaning of these verses. He recently wrote with respect to John 15:9-10, “[Jesus] was actually saying, ‘If you stay in My love, you will be obedient. His love is not a result of our obedience; rather, our obedience is the result of our love for Him.’” This writer is correct, of course, to say that our obedience flows from our love for Christ. Jesus made that point in John 14:15. But he is wrong to read John 14:15 into John 15:10. Jesus is not repeating himself. The context makes it clear that he is saying something different. And what he is saying isn’t something new but that which was emphasized in the Old Testament. Moses told Israel that “because you listen to these rules and keep them and do them, the LORD God will keep with you the covenant and the steadfast love…He will love you (Deut. 7:12-13).” The second commandment says that God shows steadfast love to those who love him and keep his commandments (Ex. 20:6). Jesus is essentially saying the same thing. I would be remiss not to point out that this observation serves to confirm the Reformed view that the old and new covenants are in substance the same covenant. In other words, Jesus is republishing the covenant of grace that Moses had delivered to Israel. The scholastic distinction between the love of benevolence and complacency is useful for understanding how God’s love can be conditioned upon our love. Benevolence refers to good will and complacency to good pleasure. God loves sinners and saints despite their sin with a love of benevolence, and he loves his saints for their righteousness and righteous acts with a love of complacency. We love God because he first loved us with a benevolent love (1 John 4:19; Deut. 7:7-8). God loves us with a complacent love because we love him and keep his commandments (John 14:21, 23; Deut. 7:12-13). Someone recently wrote on twitter: “God doesn’t love me because I repented. I repented because He loved me.” The tweet received 370 likes and was retweeted 95 times. My response is to ask, “Why not both?” God loves (complacency) me because I repented. I repented because God loved (benevolence) me. The Bible is crystal clear that there is a positive connection between God’s love and our obedience. God loves us because we love him by keeping his commandments, including the command to love one another. There is no reason to explain the Johannine passages away in defense of God’s sovereign grace. The scholastic distinction between the love of benevolence and complacency, at least in part, helps us to see how God’s love is the result of our obedience. While the Lord’s Supper was open to all believers, not all believers participated fully and regularly in it. There are several hindrances that prevented believers from receiving all the benefits of the sacrament. Perkins listed several benefits of the sacraments: (1) “for the better confirmation of our faith: for by it, as by certain pledges given, God of his great mercy, doth as it were, bind himself unto us.” (2) “That it might be a badge and note of that profession, by which the true church of God is distinguished from the other congregations.” (3) “That is might be a means to preserve and spread abroad the doctrine of the gospel.” (4) “It serveth to bind the faithful, that they do continue both loyal and grateful to their Lord God.” (5) “It is the bond of mutual amity [love] betwixt the faithful.”Truly it is a sign and seal of the covenant bond. Reynolds said the Supper was ordained “to exhibit Christ” so as “to increase the mystical union of the church unto Christ their head.”Just as natural food strengthens our bodies by becoming part of them, so we receive “spiritual nourishment” from the Supper in “the vital Spirit of Christ” so that “Christ, being united unto us by these holy mysteries, doth comfort, refresh, strengthen, rule, and direct us in all our ways.”Sin battles against our spiritual health, but the sacrament is a means “to strengthen our faith” by linking us to Christ so that we grow spiritually.Reynolds also noted that the Supper increases the unity of the church, partly because eating together naturally knits men’s affections together. Thomas Watson wrote, “Let not Christians rest in lower measures of grace, but aspire after higher degrees. The stronger our faith, the firmer is our union with Christ, and the more sweet influence we draw from him.”Similarly, Matthew Henry wrote, “If thou didst duly attend on this ordinance, and improve it aright, thou wouldst find it of unspeakable use to thee for the strengthening of thy faith, the exciting of holy affections in thee, and thy furtherance in every good word and work.”The practice of self-examination, so important to Puritans, is itself a means of assurance. Thomas Doolittle saidevery believer seeks deeper assurance when going to the Lord’s Table. He said God’s children come to the Table for the following reasons: “To have communion with God. To increase our faith in Christand love for God. To further our joy in the Holy Ghost. Our peace of conscience and hope of eternal life.... To make us thankful to God for His mercy bestowed upon us in Christ. To get power against our sins. And especially to remember and show forth the death of Christ.”Doolittle said strong believers pursue these benefits even more earnestly than weak ones. They come to the Table seeking to have their hearts inflamed with love for God and desires after Christ; they come to have their Savior more endeared to their souls, their hearts softened, their sin subdued, theirfaith strengthened, their evidences cleared, and their souls assured of eternal life. We cannot rise up to heaven and see Christ there as Stephen once did in a vision.However, Reynolds said, Christ is pleased to glorify His power by working through weak, created things. He is pleased to confirm and strengthen our union with Him “by those poor and ordinary elements of bread and wine in his sacrament.” Therefore, the Lord requires us to come with reverence and hunger and affection to His Table. The Puritans teach us that we should approach the Supper with reverence and spiritual hunger, remembering Christ, and seeking to grow in the grace and knowledge of Him (2 Pet. 3:18) to the glory of God Triune. By grace, we will then leave the Supper with a holy resolution to live wholly and solely for Him. Doolittle, A Treatise Concerning the Lord’s Supper, 94–95. Watson, The Lord’s Supper, 60. Edmund Calamy, “The Express Renewal of Our Christian Vows,” in The Puritans on The Lord’s Supper, ed. Don Kistler (Morgan, Pa.: Soli Deo Gloria Publications, 1997), 39. Doolittle, A Treatise Concerning the Lord’s Supper, 14. Doolittle, A Treatise Concerning the Lord’s Supper, 155. Willison, “A Sacramental Catechism,” in Works, 2:10. Henry, The Communicant’s Companion, 61. Perkins, “A Golden Chaine,” in Works, 1:72. Reynolds, “Meditations on the Holy Sacrament,” in Works, 3:68, 75. Reynolds, “Meditations on the Holy Sacrament,” in Works, 3:75. Reynolds, “Meditations on the Holy Sacrament,” in Works, 3:76–77. Reynolds, “Meditations on the Holy Sacrament,” in Works, 3:82. Watson, The Lord’s Supper, 73. Henry, The Communicant’s Companion, 69. Meditations on self-examination include Edwards, “Persons Ought to Examine Themselves of their Fitness Before They Presume to Partake of the Lord’s Supper,” in Sermons, 97–109; Joseph Alleine, “Self Examination,” in The Puritans on the Lord’s Supper, 85–109; and Watson, The Lord’s Supper, 39–47. Willison, “A Sacramental Catechism,” in Works, 2:70. Willison, “A Sacramental Catechism,” in Works, 2:90. Reynolds, “Meditations on the Holy Sacrament,” in Works, 3:83. Reynolds, “Meditations on the Holy Sacrament,” in Works, 3:84. Doolittle, A Treatise Concerning the Lord’s Supper, 139, emphasis added. Doolittle, A Treatise Concerning the Lord’s Supper, 153, emphasis added. Doolittle, A Treatise Concerning the Lord’s Supper, 154. Doolittle, A Treatise Concerning the Lord’s Supper, 156. Doolittle, A Treatise Concerning the Lord’s Supper, 175. Watson, The Lord’s Supper, 68. Edwards, “The Spiritual Blessings of the Gospel are Fitly Represented By a Feast,” in Sermons on the Lord’s Supper, 126. Henry, The Communicant’s Companion, 62–63. Richard Vines, “The Fruit and Benefit of Worthy Receiving,” in The Puritans on the Lord’s Supper, 124. Reynolds, “Meditations on the Holy Sacrament,” in Works, 3:111. Reynolds, “Meditations on the Holy Sacrament,” in Works, 3:112. God is incomprehensible. This means that he is always beyond us. The heaven of heavens cannot contain him (1 Kings 8:27; 2 Chron. 2:6; 6:18), much less our feeble minds and lisping speech. For this reason, lists of divine attributes have always appeared to be a bit beyond theologians who have made them, since no two lists of attributes agree fully. Even the Westminster Catechisms and the Confession of Faith differ from one another in this regard to some extent. Some have divided divine attributes into communicable or incommunicable ones, absolute or relative ones, as well as a few other methods. Yet while we cannot comprehend God, we can (and we must) apprehend him by faith in Christ, with the Spirit’s help, as he has revealed himself in Scripture. One way to do this is to understand how the divine attributes relate to one another in some measure. The so-called Leiden Synopsis helps us do this to some extent through its concise summary of the divine attributes, written by Antonius Thysius. This can help us think through the attributes and, in doing so, better understand how and why Reformed theologians grappled with what kind of God the true God is. This post will trace some of his thought by looking at the standard questions related to the divine nature and at the general principles tying together the divine attributes, including the divine names and God’s incomprehensibility and simplicity. The next post will outline how he related specific attributes to one another under the categories of incommunicable and communicable attributes, with some possible implications for understanding Reformed doctrinal summaries, such as the Westminster Catechism and Confession of Faith. The three standard questions facing theologians were whether there is a God (an sit Deus), what kind of God the true God is (quails sit Deus), and who he is (quis sit Deus). Thysius began by saying that in theology, we should not ask an sit Deus, or whether God exists, “since theology takes for granted that he does exist” (151). Theology begins with faith in the triune God of Scripture rather than an open question as to whether there is such a God or not. Quis sit Deus, or who God is, related to the doctrine of the Trinity, which needs to be treated separately in its own right. Qualis, or quid sit Deus sought to describe what kind of God the true God is through his names and attributes (155). This is the question at hand here. While other authors gave lengthy treatments of the divine names, Thysius listed only a few. Theos, which refers ordinarily to the Father in Scripture, “is appropriated to the Father especially (Romans 1:1), both because of the relation between the [divine] persons, as well as because of the economy and plan that was established in order to maintain the mystery of our salvation” (157). After introducing various names related to el and Elohim, including their proper and improper uses (157), he concluded that Yahweh, or Yah, was God’s proper name and that it carried the idea of eternality (159). Yahweh is adonai, or Lord. This God revealed himself clearly as Father, Son, and Holy Spirit in the New Testament. In summary, this means that the God who exists is Triune, he is the self-existent, eternal, independent God, and he is both God and Lord. This takes us from common questions related to the doctrine of God through a truncated view of the divine names, which was the first way of understanding God’s character. is a spiritual essence, entirely simple and infinite, that is eternal and immeasurable, an immutable; living and immortal, understanding, wise and all knowing. He is goodness itself, love, kindness, mercy, forbearance, righteousness, and holiness, etc. (161). The et cetera at the end of this short list meant that he could have kept going. The idea was that while the Scriptures provide us with true knowledge of God, they never furnish us with exhaustive knowledge of God. God only has archetypal theology, which includes his self-knowledge and his knowledge of all things in relation to himself. We only have ectypal creaturely knowledge in which we understand God by way of dim analogy. Reformed authors also taught that God was a single simple essence. This meant that he could not be divided into parts. He is not the sum total of his attributes, but he is all of his attributes all at once. The attributes are not things that God possess, but aspects of who he is. We distinguish between the attributes only so that we can speak meaningfully about God, but he is always beyond our comprehension and there is no real distinction between his essence and his properties (163-165). This incomprehensible and simple God is the Father, the Son, and the Holy Spirit, who is “the Creator, the Preserver, and the Ruler of the universe, the Redeemer, Savior and Glorifier of his elect” (161). Reformed theologians treated the divine attributes in light of divine simplicity. This meant that the attributes represented differing interlocked and mutually informing facets of the divine nature without importing any real distinctions or parts into God. The attributes were more than names and less than real distinctions in God. This partly explains why he is incomprehensible. While we really know God, he is always beyond us. Though we cannot comprehend him fully in our understandings, we must learn to apprehend him truly by our faith. As we apprehend him by faith, we must worship him in hope and in love. Editors Note: Read more about the Leiden Synopsis at reformation21! God rules the universe, even when we suffer. For some this is a bitter pill to swallow; for Thomas Boston (1676-1732), it was the greatest comfort in the world. Guest reviewer, Professor Andrew Compton, evaluates a "new" commentary by Meredith Kline on Genesis. Some think that the true Church depends on tradition or apostolic succession. Drawing from Article 19, Henry Jansma says otherwise. This year, Michael Lynch and Danny Hyde blogged through portions of Richard Muller’s Post-Reformation Reformed Dogmatics, "the crowning achievement of Richard Muller’s work on early modern theology." Also this year, Joel Beeke began an important series on the doctrine of the Lord's Supper in the writings of various Puritans. If you like to follow the footnotes, this is the article for you! History's beginning is recorded in Genesis 1, and its end in Revelation 22. Everything that happens in-between is worthy of study. Guest blogger, Brian Hedges, introduced us to his new book, "Watchfulness: Recovering a Lost Spiritual Discipline" (Reformation Heritage Books). Some days are bright and happy, others dark and lonely. Through it all, we take hope in the knowledge of our sovereign God, and praise Him still. 2. Bob McKelvey, What is Puritan Theology? Bob McKelvey discusses "Puritan Theology," and reminds us of theology's true goal. Coincidently, the top of our list is itself a top ten list. Joel Beeke shares some Puritan writers that have profoundly shaped his thought. Meet the Puritans is a conversation of the Alliance of Confessing Evangelicals. It is supported only by its readers and gracious Christians like you. Thank you for joining us for 2018, and please prayerfully consider supporting us in the new year. I have often noted in conversation that “scholasticism” is a bad word with bad connotations for many people. However, it has also become a strange word that does strange things to people. In some cases, it may even produce strange people or make the strange ones even stranger. When I hear, “Reformed scholasticism,” I think, “classic Reformed theology,” or, “training clear and effective pastors who are devoted to the triune God.” These ideas appeal to me, both because I have been a Reformed pastor and now my job is to train Reformed pastors. There will always be those who believe that “Reformed” and “scholasticism” are like fire and water, the one always threatening either to extinguish or to evaporate the other. However, they should be more like oil and fire or like storm clouds and rain, scholasticism fueling the fires of a vibrant Reformed theology or filling the clouds with the water of sound doctrine to fall on thirsty souls. Unfortunately, though this sounds good, this is not always what happens. Rather than revealing and clarifying biblical teaching to the heirs of the kingdom, scholastic theology can become like parables that conceal the truth even while revealing it. The problem is that this often results in hiding the truth from those who should understand it and revealing it to a select gnostic group of Reformed few. Some people like obscure terms and philosophical concepts for their own sakes. Some people can teach and practice engineering, but not help people use their smart phones or computers. Likewise, some can talk about the habits and acts of saving faith, habitual and actual sin and sanctification, without telling people that they must be willing to believe whatever the triune God tells them and to do whatever he commands them. Sometimes Christians gradually lose touch with the world around them and how people think and speak and, for some, scholasticism becomes the unintentional means of cutting their last remaining ties. My purpose here is to show why the church needs scholastic theology and why she needs more than scholastic theology. To speak in scholastic terms, scholastic theology is a necessary cause of recovering classic Reformed thought, but it is not a sufficient cause of doing so. It is a means of understanding good ideas, but it is not and end replacing those ideas or of keeping them from the average Christian. After a bit of explanation of what Reformed scholasticism is, the rest of the material will illustrate why we should use it and how we should beware of abusing it. First of all, what is Reformed scholasticism? “Reformed” refers to a set of beliefs that more or less aligns with a historical movement in church history. If you think that content is enough to be Reformed, then sorry. It is not. Calling yourself Reformed says as much about what you think about history as you do about what the Bible teaches. “Scholastic” refers to a scientific method of organizing theology, giving clear definitions and making precise distinctions. It involves stating questions clearly, knowing what you are talking about and what you are not (or should not), understanding the available options, distinguishing between truth and falsehood, examining the truth from many sides and in light of many questions, and knowing what to do with what you learn and why it matters. Scholasticism can take philosophical forms to convey biblical ideas. Reformed scholasticism, however, is more concerned with biblical ideas than with their precise philosophical forms. If there is a tension between the two, then philosophy will bend or break rather than Scripture. For example, following Aristotelian categories, the Holy Spirit is the efficient cause of salvation. Yet this does not convey the whole truth. Faith is part of the picture too, which becomes the instrumental cause of salvation under the efficient causality of the Holy Spirit. The whole point is that unless one is born again, he cannot see the kingdom of God. The Spirit works faith in God’s people so that they can see and receive Christ. Only then can they come to God and only then does God receive all of the glory in their salvation. They must believe, but they can’t and won’t and they can’t because they won’t. Scholastic causal categories help theologians in this case to sift through what they are finding in Scripture. At least this is how things should work. Promote precise and clear teaching, both in the church and in the seminary. 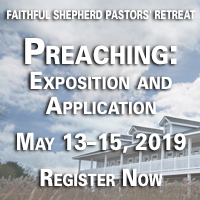 Teach us how to translate academic ideas into pastoral theology. Enable us to understand the development of theology in history. Give us the methodological foundation of classic Reformed ideas. Enable us to learn by imitation how to benefit carefully from the entire catholic Christian tradition. I love Reformed scholasticism, but sometimes when I read online posts and discussions related to it I wonder if I am unintentionally creating a monster by writing such things. I can read (and appreciate) Amandus Polanus explain divine simplicity by listing Aristotle’s eleven modes of composition only to negate them one by one. Yet if I start speaking and teaching this way in the church, or even in the seminary, then I have likely lost the benefit of reading Polanus and others like him. While scholasticism can help us communicate better with people, we should never lose sight of the fact that it is real people with whom we are communicating. Scholasticism is not ready made for today’s church, let alone today’s world. We need clear thinking, academic and pastoral theology, good historical theology, Reformed methods as well as Reformed ideas, and the ability to see Christ’s faithfulness in every century of church. Yet we need to be able to use these tools to build a house rather than to cut down a forest. Third, where do we often go wrong? When I think of Reformed scholasticism, I think of John Owen and Thomas Manton: Men who were good thinkers and even better pastors; Men who aimed at the heart by aiming at the head, blending the two inseparably and seamlessly. Or, I think of Gisbertus Voetius and Petrus van Mastricht: Men who were good thinkers who trained some of the best pastors the world has ever seen. These men often moved from things like philosophical habits and modes of composition, through Scripture, to doxology. In the modern resurgence of interest in Reformed scholasticism, this link between scholastic and pastoral theology does not seem to be gaining enough traction. People are imitating the academic acumen of the scholastics without developing their pastoral skills in reaching people in the pew. While many of us struggle to conceive of how to relate these things, the Reformed scholastics struggled with how to separate them. How could the pastor reach his congregation without inadvertently lapsing into the Latin paths driven into his brain? (read Thomas Watson’s sermons, for example). On the other hand, how could a professor write a system of theology without pastoring his readers? (think of Wilhelmus a Brakel, who was aware of living and communicating in two worlds). Learning from Reformed scholasticism does not mean speaking in technical language in every setting. Teaching theology is like designing and building a house. Scholastic theology is like engineering and framing the building. Most people don’t want engineering jargon and research. They just want a house to live in. Without precise science, planning, and framing, the house can neither stand nor become a home. Yet pastors and theologians need to learn to think like scientists and engineers while making an attractive place for the souls of God’s people to live. Scholastic theology is vital to the well-being of the church. However, weird things happen and weird people latch onto weird ideas when scholastic theology becomes an end rather than a means; when it becomes the primary way of expressing theology rather than a tool for thinking clearly. The best way to use scholastic theology without abusing it is to think in scholastic terms, but to teach in Scriptural terms. While this will not always mean using the exact words of Scripture (e.g., Trinity, incarnation), it means that we must show that our theology is Scriptural. The terms we use do not always come from the text, but when they do not drive us back to the text and, more importantly, to the God who is speaking in the text, then something has gone awry. Reformed scholastic theology teaches us biblical doctrine so that we might live to God. When it fails to do so in us and in others, then we may think we are being precise when we have actually become dazed and confused. Is it any surprise that those who hear us start becoming intellectually sharp and spiritually disoriented at the same time? Reformed scholasticism is a blessing, but only if we make it so. Scholasticism should not be a bad word and neither should it become a strange word describing strange people. It is a tool for knowing the right God in the right way as he has revealed himself in his Word. The puritans aren’t known for their love of the Christmas season. They did, however, love the incarnation. John Flavel addressed this topic in his sermon on Philippians 2:8, which will be the subject of this article. I will briefly summarize some of his comments on the incarnation as part of Christ’s state of deep abasement and humiliation, and then highlight one of his practical inferences. Even more remarkable than God becoming a man is that he “assumed the human nature, after sin had blotted the original glory of it, and withered up the beauty and excellency thereof.” Flavel appealed to Romans 8:3 to support this point, which says that the Son came in the likeness of sinful flesh. This does not mean that Christ “assumed sinful flesh, or flesh really defiled by sin.” Christ’s body was holy and had no “intrinsical native uncleanness in it.” But it does mean that his body had the “marks, and miserable effects, and consequents of sin upon it.” As a result, Christ was subject to “the whole troop of human infirmities,” which are part of the wages of sin, such as “hunger, thirst, weariness, pain, mortality, and all these natural weaknesses and evils that clog our miserable natures, and make them groan from day to day under them.” Jesus, therefore, looked like a sinner even though he wasn’t one. In addition to this, the Son of God was born into a poor, obscure home. He wasn’t born of a woman in a palace, but “of a poor woman in Israel, espoused to a carpenter.” Indeed, he wasn’t even born at home, but in someone else’s small house, and laid in a feeding trough. Many years ago, my college friend and I engaged in some door to door evangelism. We met this single man who clearly struggled with a number of problems and lived alone in a filthy apartment. We went back to visit him the following week and my friend came prepared to clean his bathroom. That was something I didn’t even think to do, no doubt, because it was something I didn’t want to do. But my friend didn’t want me to help him. Instead, he told me to share the gospel with this man because I was more gifted in that area. I didn’t think that was true, but at the same time I didn’t want to argue with him because the bathroom was horrendous. My friend that day embodied the spirit of the incarnation. May we all go and do likewise this Christmas season and indeed for the rest of our lives.